Do I have to speak to law enforcement? No. You have the absolute right to remain silent and you cannot be penalized for not giving case information. Before speaking with a detective or police officer you should consult with an attorney to help you make this important decision. Can the alleged victim in my criminal case decide to drop the charges? No. Only the prosecutor decides who will be charged with a crime and whether or not those charges will be pursued. If the alleged victim does not want to pursue charges he or she should contact the State's Attorney who is handling the case. A dispositional conference is a meeting between your attorney and the prosecutor. If an agreement can be made at this initial stage and the case is a misdemeanor criminal offense you may be able to resolve the case at that time. However, if there are outstanding issues or an agreement is not reached then the case will continue on to the next stage in the process. My case was indicted. What does that mean? When your case is indicted it means that the State has presented the case against you to the grand jury (6 to 12 residents of the county where the crime is alleged to have been committed) and the grand jury has determined that the State has presented at least enough evidence to support their theory of the case against you. At this point you are still presumed to be innocent and will move onto the next stage in the process. What is a suspended imposition of sentence? A suspended imposition of sentence is a procedure that allows a person that has pled guilty to an offense to have that conviction cleared from his or her record. In South Dakota a person is only allowed to have only one suspended imposition of sentence in his or her life. You are inelgible to recieve a suspended imposition of sentence if you have a prior felony conviction. If a suspended imposition of sentence is granted there is typically a term of probation or conditions that must be successfully completed before the record is sealed. If there is a violation before the term of conditions has ended the State's Attorney may file a motion to revoke the suspended imposition of sentence. A hearing would be held on the matter and if the judge grants the State's request the record will not be sealed and the individual will be sentenced for the original offense. (See 23A-27-13). Once a divorce petition has been filed, South Dakota law requires a 60 day “cooling off period” before a divorce can be finalized. I have been served with a temporary protection order. What do I do now? First and foremost, it is absolutely essential that you follow the terms and conditions of the protection order. If you violate a term or condition of the protection order you can be charged with a criminal offense. Typically, the protection order prohibits contact of any kind with the individual(s) who obtained the protection order, even if they initiate the contact. We can help to explain the process and ensure that you are protected. I have a case, but it is not in Sioux Falls, SD. Can you still help me? Yes. We are licensed to practice anywhere in South Dakota. 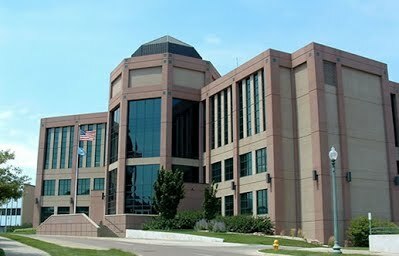 How much will it cost to hire an attorney in South Dakota? Each case is different. We offer free consultations and discuss fees and payment options with you on a case by case basis.